We have started a new tradition of reading Christmas books by the tree before bed. I love Christmas books and would like to expand our collection. I am so in love with the book advent idea, but I don't think we would ever own enough books. Ever since Rebecca left a comment here I have been reading her blog, she recently put together the nicest book advent here, great neon bunting and what a stylish blog! Today I read Caspar the Christmas Story. I am not sure he had heard it in it's entirety before. He asked where Santa was. I know a lot of parents face the dilemma of Santa. I believe Santa (and the Easter bunny) is a myth, not a lie or just a story but an important cultural myth. However, it is important, don't you think, to keep Santa in check. What I appreciate about Caspar is he is most considerate. He discusses which gifts he would like to give as much as those he would like to receive. I know he's only four but it's refreshing. Back to Christmas books. This is our entire collection. It may be small but it is treasured. I'd love to hear any recommendations. It's likely we would only buy another one book this year so taking suggestions for those held in the highest esteem. I would like my children to remember and cherish their memories of our Christmas book collection. The other thing I love about Christmas books is they are extra special, handled with a little more respect and care. Perhaps that's the magic of Christmas. Easy peasy garland. We used coloured paper strips and masking tape. Caspar loves to use the tape dispenser and for a four year old it was easier than glue or staples. These are a little addictive and we have them all around the house. Pretty Christmas flowers and coloured (and more glitter) pine cones. We started with a yellow and red theme but really ended up with multi coloured everything. There are still glue pots in the kitchen and glitter in my hair. We had a wonderful weekend. Lots of creating and mess making. We are decorating on a budget this year and intend on only using items we already have and reusing/recycling when we can. It was dark before I had time for photographs so here is a start. Baby food jars with glue and glitter. I asked Caspar if he wanted to help with some decorations, he said "no thanks". I mentioned glitter and he wanted to help straight away. Do all kids love glitter? I printed out some large letters and traced them onto watercolour paper. Caspar then painted using watercolours and I cut them out. Using tiny pegs hung them on twine. Merry Christmas! This weekend Caspar and Otis also had their photograph taken with Santa. It started off well but the photographer was too slow. Otis wanted to eat Santa's hair and it all went downhill from there. We still felt obliged to take the photograph but let just say, we won't be hanging it on the wall this year. Oh sand tray. You are a wonderful tool. When Caspar said he wanted to use the sand tray, I raced so fast to get it before he changed his mind, I didn't even clean the table. We had been painting, can you tell? I had given up on the the sand tray, it was packed away in storage. Now it is back. I gave him the tray, he did the rest. First letters c and k, then numbers. He wanted to practice and repeat. The sand tray is now on his shelves so next time he doesn't have to ask. 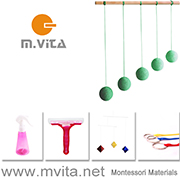 I use Montessori Read and Write as my guide. Sometimes I am asked about what actual Montessori materials we have at home. I like and recommend having sandpaper letters, numbers and a sand tray. I leave the lessons to the teachers at school but having these materials at home provides the child the opportunity to practice. And there is so much practising to be done right here, right now. 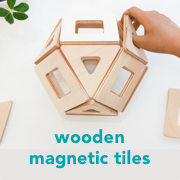 Do you remember the first time you stepped inside a Montessori classroom? Did you get the sense that you were somewhere special? Every Montessori classroom I have visited has had that special feeling. But does that feeling wear off, does it fade? Our school year is coming to a close and there are a few families that have decided not to return next year. You would expect this as every school has people who come and people who go. But what is the main reason people leave Montessori schools? I wonder if it has to do with expectations. One thing I know is the success of schooling cannot be made after a couple of months or a year. Commitment to the method is required and success not sought. Yes, it is the process not the outcome. If you as a parent are seeking some outcome as a mark of success of the school year, this may not be the school or method for you. For me that special feeling has never faded. Although we have had difficulties I remember the reasons why we chose this school and this method of education in the first place. I have also learnt this year it's not only commitment to the method. It's commitment to the Directress, the Principal, other children and their parents and the wider school community. It's this wider school community that contributes to this special place, that special feeling. I feel that if you do not have this commitment then a Montessori school is never going to work for you. If you do have this commitment, I guarantee it will be tested. But Montessori schooling isn't a risk, the rewards are obvious if you know where to look for them. The weather has been perfect. We had a lot of work to do. I put a couple of tables and chairs outside and set up a few practical life activities for Caspar. They weren't just activities, they were work than needed to be done. When he got home from school he went straight to work. He knew what they were for. A very special occasion. First to clean our trays. We used a Bi-Carb Soda paste and not only did it remove the stains it brought out a lovely shine. Yes, April these are your polishing mitts, perfect for the task. Measuring and cutting ribbon. The cardboard is used to measure the ribbon. They all need to be the same length. Counting and tonging and pouring. Do I need to say this took Caspar a really, really long time. I had to hold myself back. One bag for each guest. The cello packages got a little more handled (crinkled) than I was hoping for. But this is important work - he is contributing. What is a little crinkled cello. The very crinkled packet on his right is his master. No, they're not Easter eggs but sugared almonds. I put them on a tray and in the oven on the lowest setting for an hour. Then Caspar packaged them into more cello bags. I'll be super busy in the next couple of days (trying to be the best sister that I can) but I will be back on Friday for a look at a lovely Montessori family (and business owners) and a giveaway. Now, I have a very important speech to write. Wish me luck, I never was very good at these things. MPMK - Guest post about shapes. Like shapes? Me too. I recently realised that Caspar's cutting skills were not improving (and were actually quite poor!) and cutting out shapes was the perfect activity for him. I occasionally get asked about cutting with scissors so I think I'll write a post on cutting activities soon. Anyway, if you are interested in shape activities click over to my Modern Parents Messy Kids guest post about shapes. Pinning as in the above photograph is a Montessori classic while the activity below matching with match sticks isn't an activity we had tried before. It might have been because it was a new activity but it captured Caspar's attention. Thanks again Steph for having me over. It's been almost a year since I have put out any life-cycle work for Caspar. But after a little of this. He took this book, opened to this page, to school for show and tell. I knew it was time for this and these. The life-cycle cards are from Montessori Print Shop. This one below isn't Montessori with the abstract looking frog, but it is cute, and the other pictures are life like. It looks lovely in a wooden bowl or tray on the shelf. From Mama Roots on Etsy. Work like this really brings home to me how much Caspar is developing. Last year he would simply match the model animals to the pictures and put them in order. Now he tells the complete story. We also have both life-cycle sets for the butterfly. Lovely work that children seem naturally attracted to. If you are looking for ideas for brithday parties the reptiles (and amphibians) were a real hit and most of all the birthday boy was thrilled. We used and loved Reptiles Inc. I purchased the biggest canvas I could find. Rollers from the garage and we always have paint. Some small art too. Great for gifts. This is for one of my spaces. It works perfectly, don't you think?